1969, University of San Francisco. B.A. John Stuart began his legal career as Counsel in the San Francisco Office of the California Department of Financial Institutions. After leaving the Department, Mr. Stuart joined the same major national law firm as Mr. Reitner and moved to its Washington, D.C. office. He practiced there until forming the firm with Mr. Reitner in January 1996. Mr. Stuart is married with two daughters and a son. Mr. Stuart’s practice is currently concentrated in regulatory, corporate, securities, and acquisition matters largely involving banks (national and state), bank holding companies and thrifts. 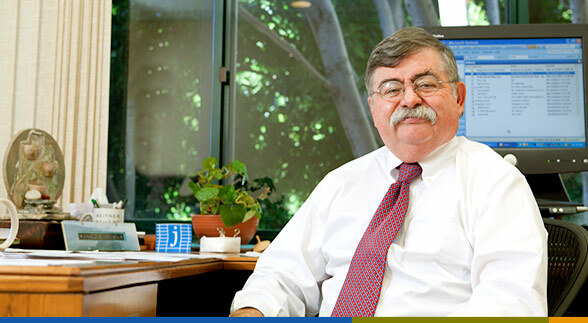 He ended his tenure with the California Department of Financial Institutions in 1978 as Assistant Chief Counsel then being responsible for the overall supervision of the day-to-day affairs of the Department’s legal staff. Mr. Stuart has written and lectured extensively on topics related to bank law and regulation. In private practice Mr. Stuart’s experience includes: negotiating and preparing acquisition agreements and related regulatory filings for mergers, sales of assets, deposit assumptions and branch sales; preparing registration statements under the ’33 Act on behalf of bank holding companies and offering circulars for banks; negotiating and preparing related securities offering documents such as underwriting agreements, warrant agreements, stock terms and trust preferreds; drafting and reviewing a variety of ’34 Act filings, including merger proxy statements; negotiating and settling regulatory orders and agreements with problem banks and thrifts and handling various emergency situations involving problem or failing banks; interfacing with various corporate committees on regulatory and financial compliance; negotiating and structuring long term debt financing for bank holding companies and banks; directing the formation of new banks, thrifts and holding companies (including holding company formations); advising and preparing anti-takeover charter amendments and “poison pills”; advising and negotiating in the context of hostile takeover attempts; and rendering general corporate, securities and regulatory advice. His experience at the California Department of Financial Institutions included: drafting of legal opinions; reviewing securities offering documents; reviewing the legal aspects of acquisition applications; negotiating legal aspects of problem and failing banks; participating in the total rewrite of the California Financial Code relating to the regulation of banks and preparing implementing regulations; and rendering general legal advice on a variety of banking issues to the Commissioner and the Department’s staff.